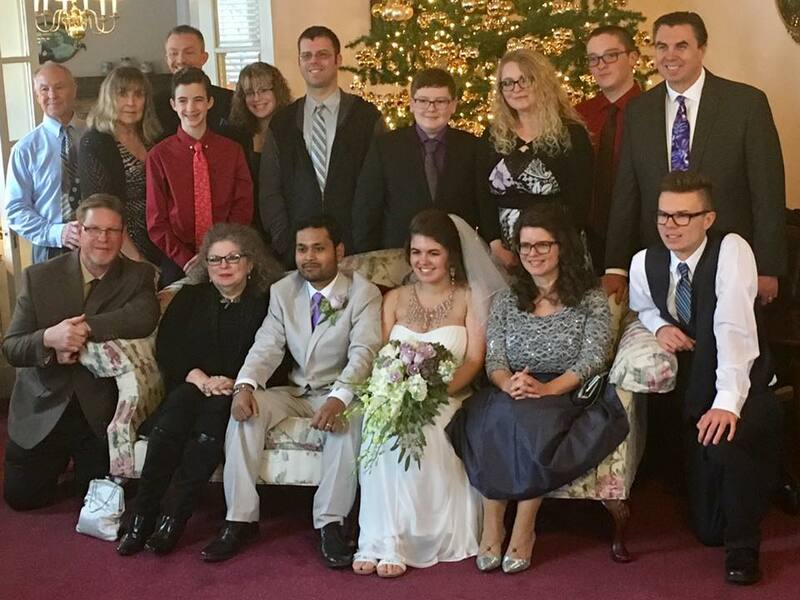 The Munro House in Jonesville, Michigan, is the perfect setting for a small wedding during the Christmas season. The Greek Revival Mansion always looks great, but during the holidays it becomes even more special. Silk floral arrangements, historic photographs, and porcelain decorations adorn the huge double parlor along with a stunning Christmas Tree that is 12 feet tall. It is filled with over 3,000 lights and decorated with around 3,000 ornaments. It has been referred to as the kind of Christmas Tree you see on a soap opera. The interior is made into a comfortable and festive atmosphere that is appropriate for a winter wedding. The Thousand Dollar Wedding Package is an intimate service designed for a group of 20 or less. Small weddings are the house specialty. There just isn’t enough comfortable space for a larger group. Sometimes the bride and groom arrive with just the immediate family–parents, siblings, and children. 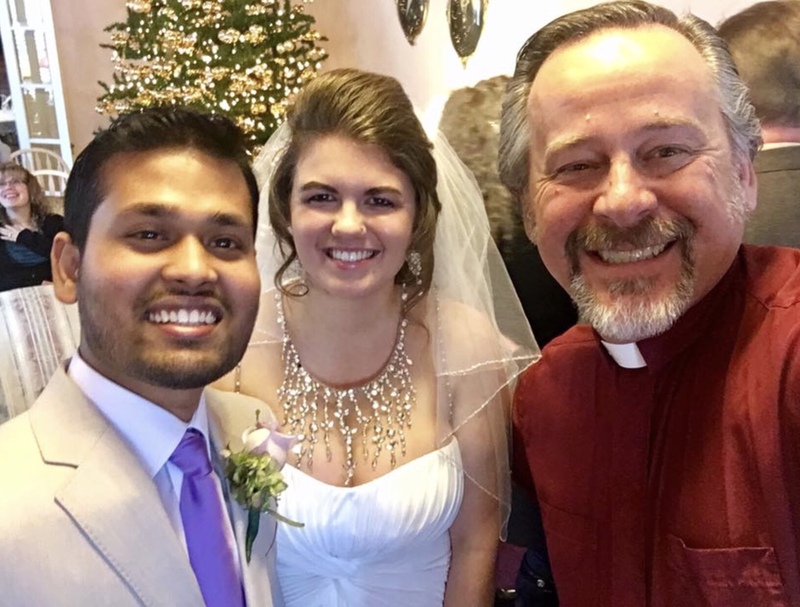 Other times the wedding couple are joined by just a maid of honor and a best man. On occasion, we will provide witnesses when the bride and groom come alone for an elopement or a spontaneous wedding. 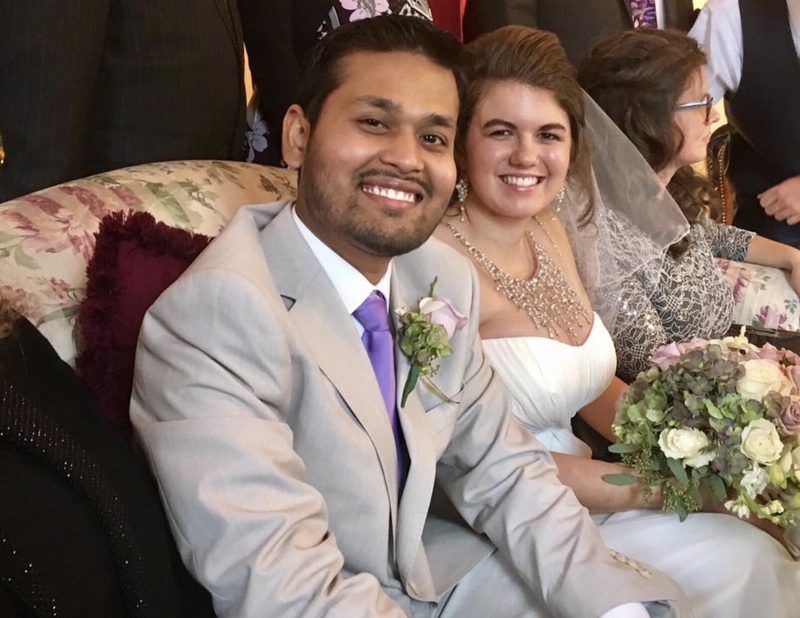 No matter which small group of attendees arrive, Munro House strives to create a comfortable, unique, and memorable wedding with Reverend Mike as the officiant and a comfortable number of guests. The bride and groom need to bring their marriage license. The Munro House takes care of the rest of the details. The room is arranged appropriately for the number of guests. Reverend Mike officiates over the non-denominational ceremony using the wedding vows chosen by the couple. A bouquet of red roses and a red rose boutonniere are provided for the wedding couple. A custom cake is created by our cake boss from a photograph that can be found online or on Pinterest. The bride and groom also get any available rooms for 2 nights–the night before and the night of the wedding. Most couples choose one of the rooms with a double Jacuzzi tub and a gas fireplace. There are also tubless rooms and a first-floor rooms for guests who have different tastes. 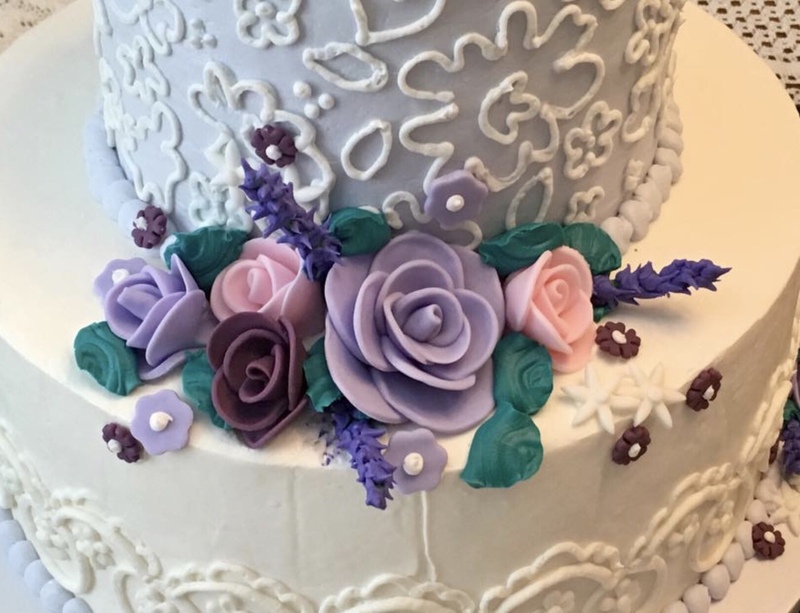 This entry was posted in Christmas Wedding and tagged $1000 Wedding, Christmas Wedding, Michigan Wedding, wedding cake, winter wedding by admin. Bookmark the permalink.